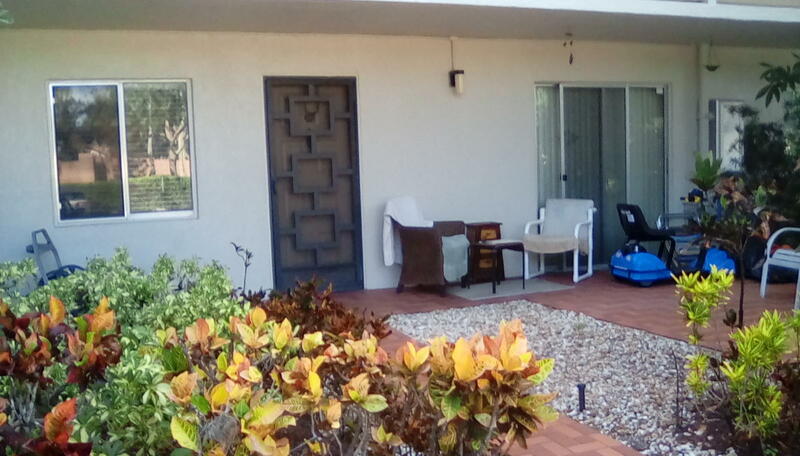 This lake front 1st floor condo has its own entrance. Completely renovated has it all. Kitchen and guest bathroom have Granite and the master bath has Corean. Newer appliances. Complete turn key. All ceramic tile throughout. 18 tile on diagonal in kitchen and dining/living rooms and bedrooms and smaller tile in bathrooms Everything stays even TVs. Sit out on your enclosed porch with AC through oven doors or open sliders and enjoy the view of the lake. Satellite pool is a salt water pool with a heated spa. Pick nick area with grilles and clubhouse. the main club house has everything you could want. Theater, exercise room, in door pool, outdoor pool steam rooms and saunas and more.